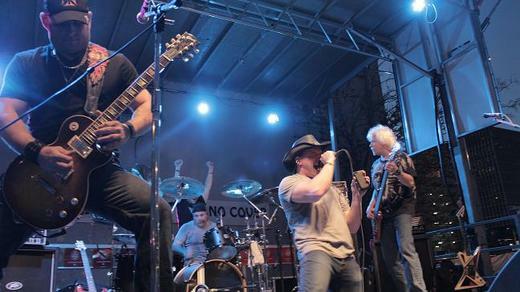 Formed in 2009, AFTERBURN has a sound and story unlike any other modern rock band. The band members are all F.D.N.Y. firefighters - Joe Martin (guitars), Richie Apps (vocals), Mike Gallino (drums), and John Lopez (bass). The winners of WRCN Radio's 2012 Battle of the Bands, AFTERBURN strives to be one of today's top bands with their diverse influential range. All 9/11 veterans, their experiences, brotherhood, and love of music brought them together to combine their diverse musical experience and influences to create a distinguished sound.